Summary: The clock chimes midnight, a curse breaks, and a girl meets a prince . . . but what follows is not all sweetness and sugarplums. Review: This novel was a wonderful read! You can clearly see the similarities with The Nutcracker, but Claire Legrand has taken it to the next level. Clara is fully fledged character, who changes throughout the story. 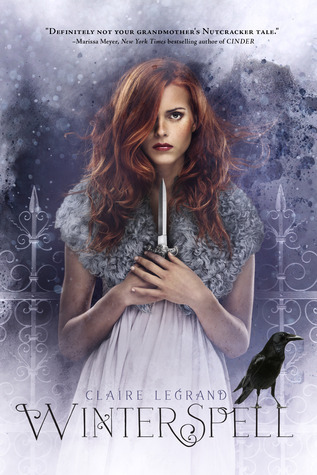 Legrand uses definitive action and setting for all her characterization. The world-building in this novel is phenomenal! I loved the world of Cane, the twisting magic, and the dark curses. Legrand also spends some time on the physical aspects of the three creatures who inhabit Cane: faeries, mages, and humans. This novel is a fast paced adventure, with trouble, both romantically and physically, at every turn. Clara must face class differences, politics, and must find the strength to withstand all, or be forced into servitude in one world or the other.